Genesis Breyer P-Orridge Becomes Marc Jacobs Model – Zero Equals Two! Marc Jacobs’s campaigns have become famous for their use of notable cultural figures and unexpected celebrities, but this season’s may feature the most left-of-field lineup of them all. 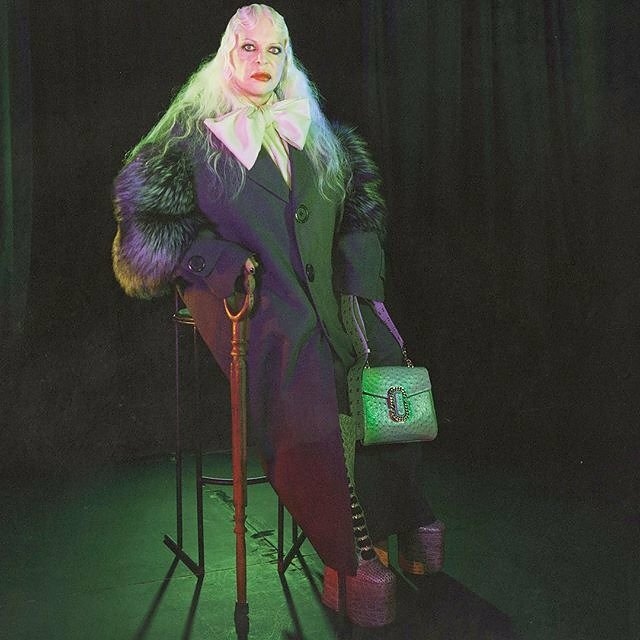 With everyone from Marilyn Manson to performance artist Kembra Pfahler making cameos in David Sims’s portfolio, it’s hard to pick favorites, but Genesis Breyer P-Orridge might just outshine them all. For many, Breyer P-Orridge’s name may not be as familiar as that of Manson or Pfahler, but both owe something to the legacy established by Breyer P-Orridge’s incendiary creative output. As an artist, musician, occultist, and provocateur, P-Orridge has spent the past four decades breaking boundaries in art, music, and beyond.